According to the Nazi plans, the first idea of building work camps in the Lublin district was connected with the plan to resettle all Jews from Germany and its annexed territories to the Lublin district. Another reason was Himmler's and Heydrich's idea to use the Jews for building border fortifications between the Generalgouvernement and the Soviet Union. The Jews were to be resettled from the Warthegau and other Polish territories annexed by the "3rd Reich". The decision of using the Jews for these works was supported by SS-Gruppenführer Globocnik, the SS and Police commander of the Lublin district. 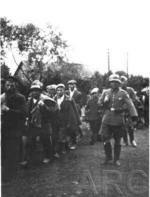 From end of May until August 1940 approximately 10,000 Jews from Lublin, Radom and Warsaw district were sent to Belzec. Many of them didn't know the conditions there. They came as volunteers, especially the men from Warsaw ghetto because there was no work for them. A big group of Jewish workers came to Belzec during three days in August 1940. In the beginning they had to lodge in primitive conditions because of lack of space for them. After several days they were sent to 20 different subcamps which were established in Belzec and its surroundings. Their main duty was building fortifications at the Soviet Union border: a rampart of 140 km between the rivers Bug and San. In fact, until October 1940 the "Eastern Rampart" was only 40 km long (between Belzec and Dzików Stary village), 2.5 m deep and 7.5 m wide. 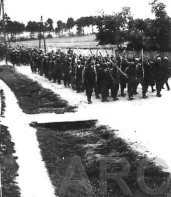 The prisoners of the Belzec work camps built a 6 km long part. This work was connected with the bigger plan of fortifications building, called Fall Otto ("Case Otto") or "Otto Line". 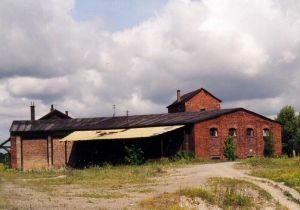 In Belzec Jewish prisoners lived at three sites: The manor (1,000 people), Kessler's Mill (500) and in the locomotive shed (1,500). Outside Belzec the prisoners lived and worked in Cieszanów (about 3,000), Plazów (1,250) and other locations. A part of the prisoners at Cieszanów were finally sent to Dzików. The Jews worked not only for building the "Otto Line" fortifications but also had to regulate rivers and to build streets. 35 forced labour camps were established along the "Otto Line", mainly set up in abandoned synagogues, warehouses, granaries and barns. When the first group of Lublin Jews came to Belzec, they already met Romany resettled from Germany (among them Romany from Hamburg), Czechoslowakia and Poland. 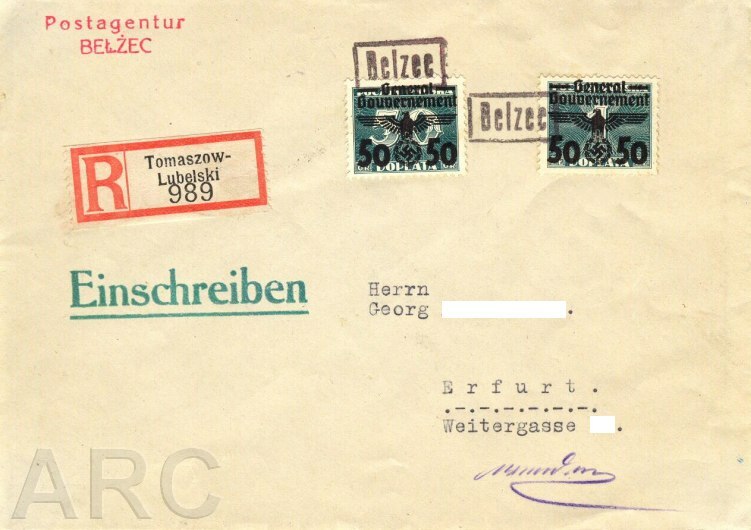 At the same time Lublin's governor Ernst Zörner mentioned that Belzec shall be the central camp for Romany. Their camp was on a farm at Belzec manor. 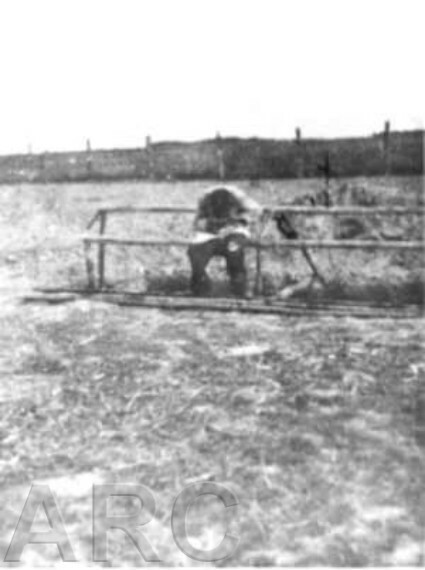 The Romany had to dig ditches in Belzec village. Among the Jews deported from the Reich were veterans of WW1 and even members of the Nazi party NSDAP. A group of Polish prisoners (farmers from villages near Tomaszow Lubelski) were arrested also. They were hostages, accused of having not paid the contingent for the Germans. 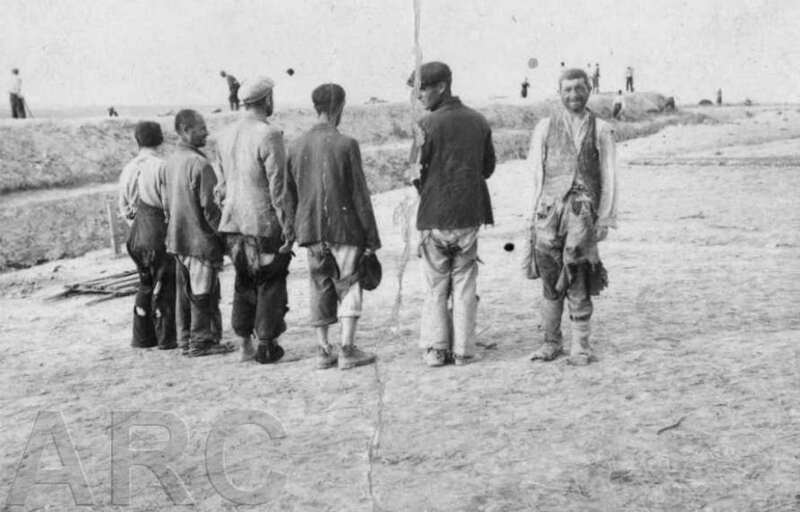 The conditions in the camps were horrible: The prisoners were tortured, beaten and starved. Often mothers decided to kill their babies because they had no food for them. Every day they got socalled black coffee without sugar and 300 grams of bread for breakfast. The "soup": water with smelly vegetables and old meat. For the physically hard working prisoners that was not enough of course. Only during a visit of the Swiss Red Cross the food was better for two days. 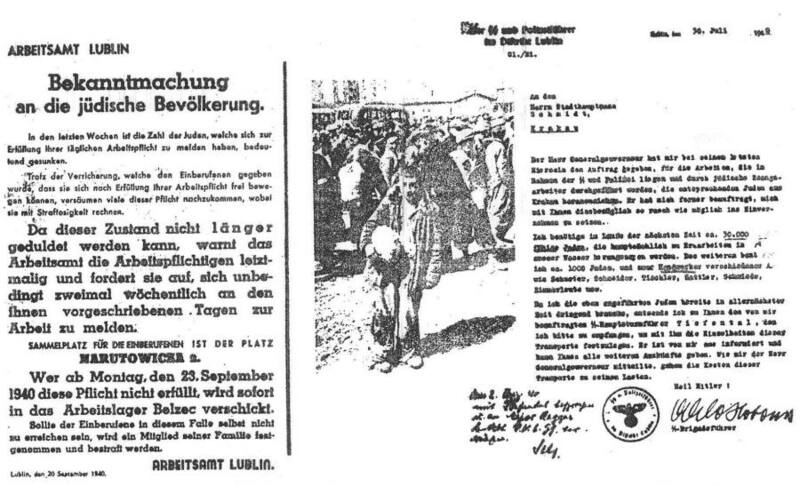 When the delegation left Belzec for visiting Plazów Forced Labour Camp (near Belzec), the commander SS-Sturmbannführer Hermann Dolp ordered that the inmates had to get the same awful food like before. Many Romany died because of typhus and dysentery. They were forced to work also. The number of Romany victims is not known. Their graves are located in Belzec near the railway and the road to Jaroslaw. 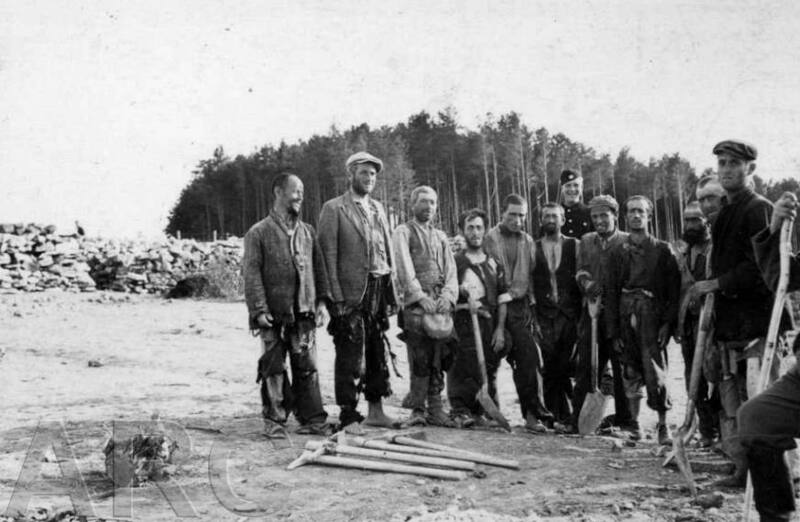 When the first Jewish prisoners came to Belzec, more than 1,000 Romany were transferred to Krychow Work Camp near Sobibor (before the war a work camp for Polish criminal prisoners was in Krychow). There is no clear information available about the fate of these Romany. Probably a part of them was sent to Siedlce ghetto and from there to Treblinka. Commander of the camps was Hermann Dolp. 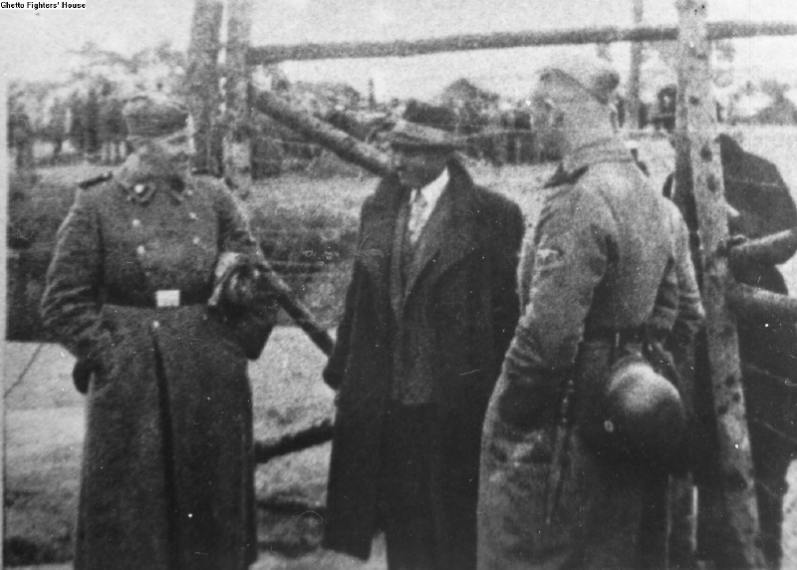 Before his delegation to Belzec he was camp commander of the Lublin Forced Labour Camp 7 Lipowa Street. In Belzec he was assisted by SS-Hauptsturmführer Franz Bartetzko who was commander of the Forced Labour Camp Trawniki from spring 1942. Both were very cruel and killed a lot of prisoners. The most infamous example about Dolp's cruelty: He ordered the Jews to go to the toilets only at a special time. Those who were found on the toilets before or after this time, were killed by him. Especially many prisoners having diarrhoea became his victims. Dolp was known also as the most corrupt SS man in Belzec. The prisoners who worked in the workshops had to produce clothes, shoes etc. only on Dolp's private request. Though the camps were controlled by the SS, the supply with food and clothes and the administration was managed by the Judenrat of Lublin. In Belzec the Germans established a socalled Jewish Gremium, responsible for the organisation of the camps. All costs connected with the existence of the prisoners should be paid by the Judenräte of the towns from where the prisoners came. The Gremium decided how to share the food among the prisoners. After August 1940 Gremium was changed into "Central Camp's Council", led by Leon Zylberajch from Lublin. All members of the "Camp's Council" were released from work. About corruption among them a lot of informations is contained in the reports written by Lublin's Judenrat in 1940, after closing of the camps: The "Camp's Council" members pressed the prisoners to pay when they had to go to the hospital, the prisoners had to pay for better places at work etc. Finally the "Council" members plundered the food parcels sent by inmates' families. The work in Belzec and other camps was very hard. The prisoners started working at 4 or 6 a.m. Because of tortures, hunger and primitive conditions (no blankets in the buildings, no possibility to change the clothes), many of them looked like skeletons after a short time. Dr Janusz Peter, chief of the Tomaszów Lubelski hospital, who still had contact with his former patients, described them as "spectres in rags". In his memoirs one can read that Germans took photos of these people as "examples of the sub-human Jewish culture in Poland". The number of victims can be estimated on 300, only in Belzec village. The work camps in Belzec and nearby villages were abandoned in October 1940. 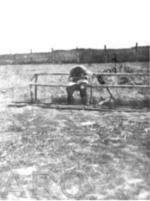 Before the liquidation of the camps, a part of the Jews had to be released because they were not able to work any more. Some of them died after release. The last transport of released people was sent to Hrubieszow in late October 1940. Until today not many people know that the Belzec work camps have been the biggest work camp complex in the Generalgouvernement in 1940. Close to the former death camp's site fragments of the "Otto Line" rampart, built by the prisoners, are still visible. According to Polish witnesses around 200 victims are buried in an old park near the manor. Many others in the forest "near Jan Woloszyn's house" (the exact location is still unknown, probably the forest opposite to the death camp, behind the furniture factory and Wirth's house). Other victims were buried on the Jewish cemetery in Tomaszow Lubelski.